Wakháŋyeža kiŋ lená épi čha táku waštéšte iwíčhuŋkičiyukčaŋpi kte. 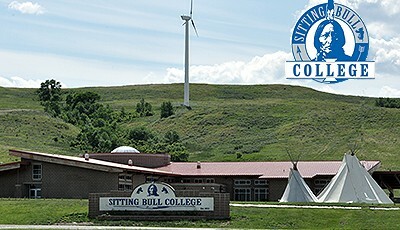 Sitting Bull College began as Standing Rock Community College (SRCC) on July 1973. SRCC was to operate as a post-secondary educational institution with the authority to grant degrees at the Associate level. It was one of the nation's first tribal colleges. The college received full accreditation in 1984. To mark this achievement and recognize their continued growth, the college officially changed their name to Standing Rock College (SRC). 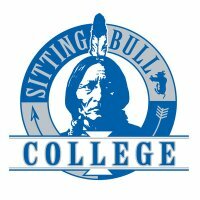 On March 6, 1996, the Standing Rock Sioux Tribal Council voted to officially amend the charter, changing the college's name to Sitting Bull College (SBC). There are now over 70 full-time faculty, administrative and support staff. The original enrollment of 90 students has grown to approximately 300 each semester. Bachelor programs, associate level general college transfer programs and vocational programs are currently being offered. SBC's mission is to build intellectual capital through academic, career and technical education while being guided by Lakota/Dakota culture, values and language. SBC also seeks to promote economic and social development amongst the Lakota/Dakota tribes. Sitting Bull College offers Lakota teacher education as part of their Department of Education. To get started, go to the SBC Education Department's main page. There you will find further links to course outlines, course catalogs, and application instruction. Besides regular courses and degree programs, SBC is also host to LLC's Lakota Summer Institute each June. On of SBC's most recent accomplishments is the creation of a daycare built on the language nest model of language education. Over 10 percent of South Dakota's population is Native American. The state is steeped in Native history, art and culture. 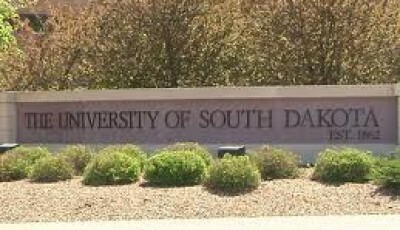 Its primary higher education institution, the University of South Dakota, works with the Native American populations through degree programs, partner projects, and the creation and maintenance of different institutes, research projects, centers and associations, including The Institute of American Indian Studies, the Native American Journalists Association, and the South Dakota Oral History Center's American Indian Research Project. Through their major and minor degree programs, USD provides a unique environment for students to learn about American Indian society, tradition, history and opportunities for the future. As a student in USD's Native Studies program, one explores the fabric of South Dakota, the whole of North America, and the global indigenous experience. The programs faculty and students to interact with and conduct research for Native governments, Native-based community organizations, and other organizations that serve Native Country. USD is a excellent place for students with great interest in Lakota. For more information on USD's Lakota programs, contact Armik Mirzayan at Armik.Mirzayan@usd.edu. Dr. Mirzayan is a leading instructor in USD's Lakota courses as well as one of being an important member of the faculty of LLC's Lakota Summer Institute. USD's primary degree program is Native Studies. The Native Studies program has a 17 credit hour option for adding a Lakota language specialization to your degree. In addition, the University offer Lakota language classes to fill College of Arts and Sciences Bachelor of the Arts programs.